Have you seen the colourful metal bikes around town? They’re actually bicycle racks, placed at nine transit stops around Airdrie. As part of our city’s Transit Master Plan, we wanted to provide another option for customers connecting with our services. With many of our transit stops located along the City’s extensive pathway network, we saw an opportunity to make biking to the bus a more viable option by providing a safe, secure location to lock a bike and ride the bus. The best part? 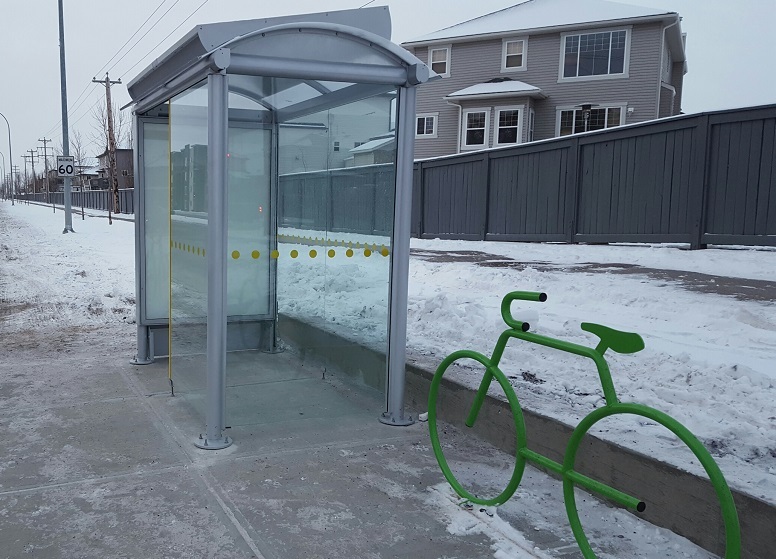 These bike racks were funded by grants provided by the Federal and Provincial governments, allowing us to invest in new infrastructure without any municipal tax dollars. We hope to continue to leverage grant dollars such as these to install additional bike racks and other unique pieces of functional street furniture as part of future projects.